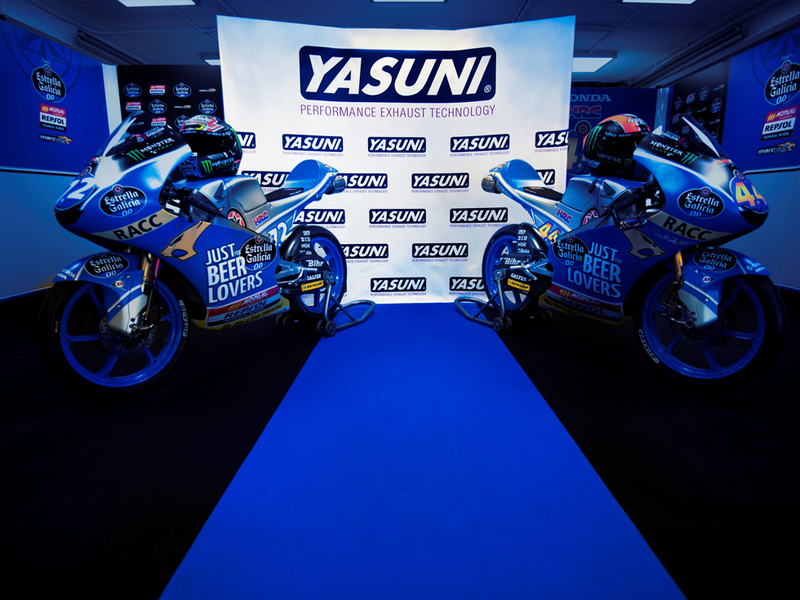 Yasuni’s main goals for this season are: to support the youngest riders on their path from the beginning until the end of the season, in order to grow with them; and to be back on track for the Moto3 championship races, with several Team Estrella Galicia 0,0’ riders. 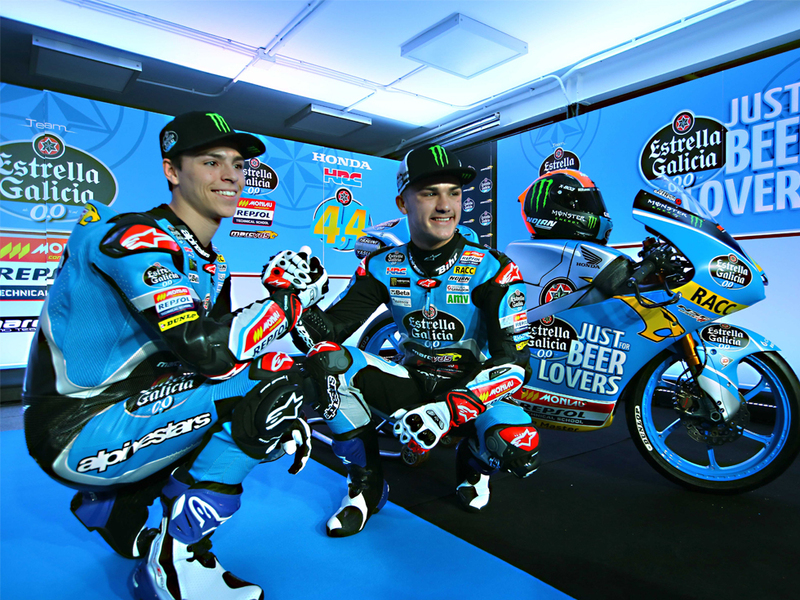 Starting from the first step, the youngest Yasuni’ riders this season will be: Diogo Moreira and Adrián Cruces in their career along the Campeonato de España de Moto4-RFME with the School Team Estrella Galicia 0,0 de Moto4. 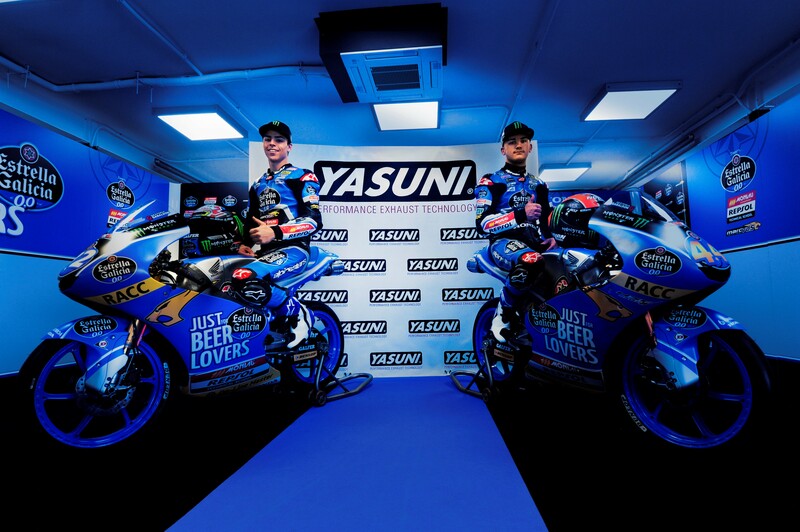 In other categories, Yasuni will reinforce its presence in the European Talent Cup and the FIM CEV Repsol with the riders: Julián Giral, José Antonio Rueda and Daniel Holgado, riders from the Talent Team Estrella Galicia 0,0 - Moto3. 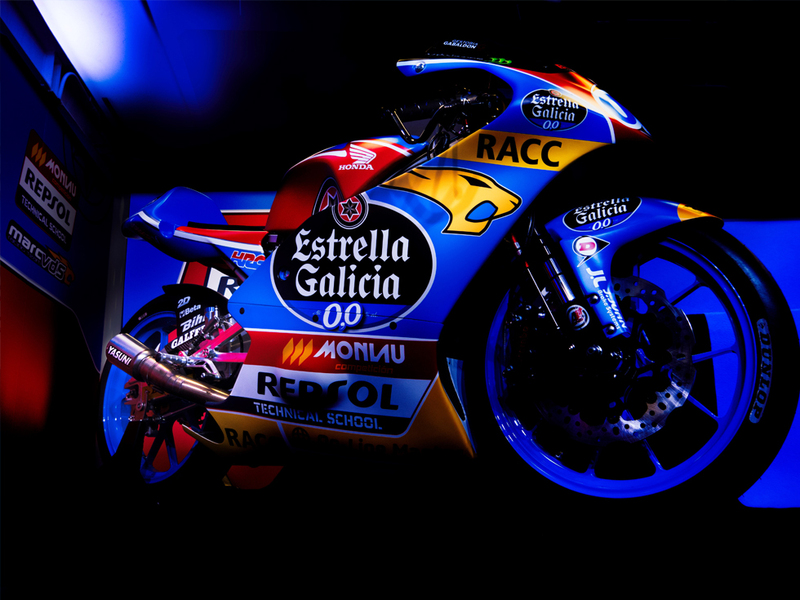 In the Campeonato del mundo Junior de Moto3 FIM CEV Repsol, the addition to the team presence will be held by the riders of Junior Team Estrella Galicia 0,0 Moto3: Jeremy Alcoba, Sergio García Dols and their British rider, Charlie Nesbitt. 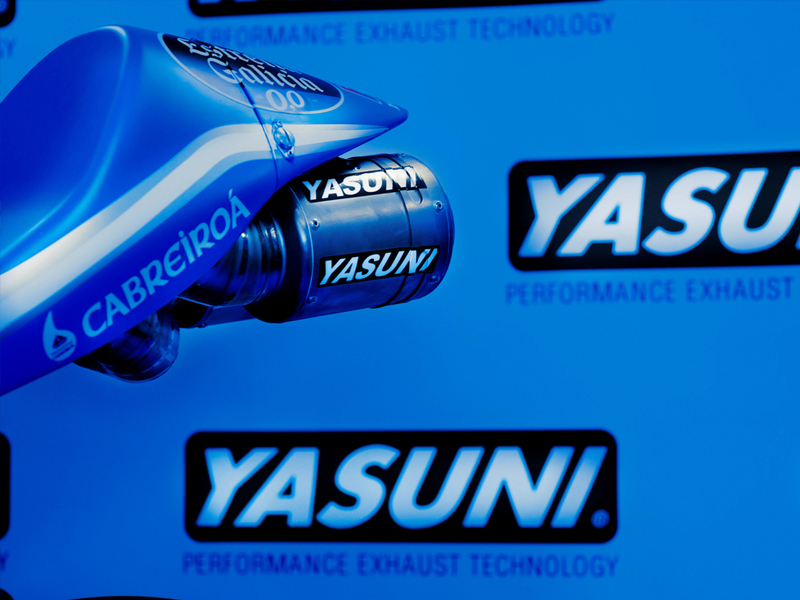 Within the MotoGP championship, Yasuni wil be at full throttle with the Moto3 riders: Arón Canet and Alonso López. Arón Canet will ride on his 3rd season with the Team EG00. In 2017 he reached: 3 victories and a 3rd placement at the end of the championship. He’s the favorite candidate to opt for the Moto3 crown this 2018. Alonso López, instead, will debut in Moto3 for the first time with the Team EG00 and Yasuni, and he could be the ‘Rookie of the Year’.